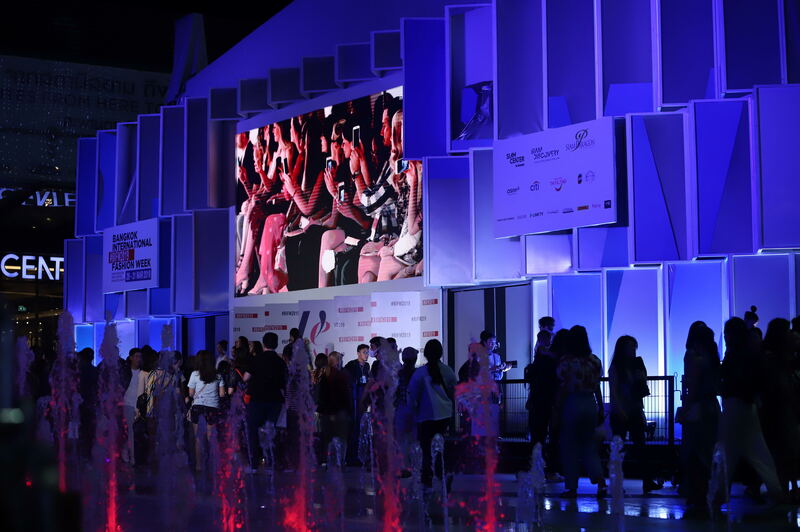 The highly anticipated Bangkok International Fashion Week 2019 (BIFW 2019) was staged during 28-31 March 2019 by One Siam, the global destination – an alliance of 3 world-class shopping centers Siam Paragon, Siam Center and Siam Discovery. One Siam has long been a key force driving Thai fashion industry forward. Siam Paragon Shopping Center was transformed into lavish Grand Runway, featuring 14 top-notch Thai and internationally-acclaimed labels. A campaign “We wear Thai Designer,” was also launched in paralleled to highlight Thai fashion and its unique identity, praising creativity and high quality to the eyes of the nation and the world. The BIFW2019, the country’s most prominent fashion showcase, unveiled the latest Spring/Summer 2019 collections in extravagant show settings. This year, the fashion crowd, could grab their favorite as-seen-on-the-runway pieces at the See Now Buy Now Pop up at Hall of Fame, M Floor, Siam Paragon.